Cap City Comedy Club asked me to do some shows the week before Christmas. 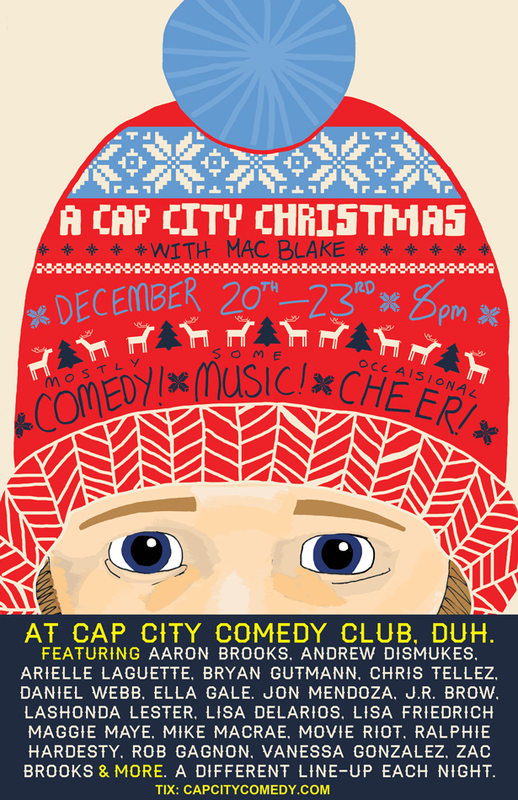 I’ve put together four fun nights of A Cap City Christmas. I’m structuring it like an old TV special, except I’ll try to sing as little as possible. We will have stand-up from some of my favorite performers in Austin, a little music, and some surprise bits. I think these shows will be pretty special so if you’re in town, come on out. Check out the line-ups for each night and then get yourself some tickets.